Trends in popular software come and go, but it’s pretty clear at this point which ones are sticking around for the long haul. How else do you end up with the cultural jargon “Netflix and Chill” being so widely accepted? I’m fairly certain you’ve never heard anybody say, “Hulu and Chill.” “Youtube and Chill?” “HBO Now and…” yeah, you get the picture. Netflix is the premium streaming service for films and television shows, and even though its primary competitors are doing just fine in their own right, there’s almost no way for them to close the distance with this media behemoth. It helps that a great majority of Netflix’s original programming has been met with critical acclaim, many times over. Daredevil. Jessica Jones. Orange is the New Black. House of Cards. The Unbreakable Kimmy Schmidt. Fans of Arrested Development, Full House, and Gilmore Girls can all thank Netflix for picking up the threads of where their favorite shows left off, delivering new content available exclusively through the streaming service. While Amazon Video and Hulu have certainly been playing the same ballgame, neither can boast the profile or namesake that Netflix now claims amongst its users. From the forecast of upcoming content that we’ll soon be seeing from Netflix, that paradigm isn’t likely to shift anytime soon. Still, just because a service is popular doesn’t mean that every nuance of operating it is visible, right on its service. People have criticism in abundance for Netflix, and much of it has to do with streaming, organization, geoboundaries (more on this, later) and the ways that different devices and web browsers seem to affect the playback of Netflix content. I’ll admit, I find Netflix’s content organization to be borderline atrocious. You’re not the only person that’s been left scratching their head, wondering how to wade through it all. Thankfully, there’s a way to take advantage of this organization scheme for your benefit. See, those odd genre amalgamations aren’t just for you, and they’re not just for show. They’re actually specifically compiled lists that you can drag up on demand… as long as you know how. Head over to the Netflix ID Bible and check out the immense list of subcategories that are available to view. It works like this. Take your base URL of http://www.netflix.com/browse/genre/INSERTNUMBER, and replace the obvious part of that URL with one of the subcategories that you’d like to view. For example, if you want to watch Asian Action Movies, the finished URL would be http://www.netflix.com/browse/genre/77232. Take advantage of this trick whenever you’re feeling digitally peckish, but don’t know what to watch. One of Netflix’s fantastic features is the huge library of foreign-language films that it constantly offers. However, unless you’re fluent in the languages that you’ll be hearing, subtitles are going to become your best buddy. Raise your hand if you’ve ever been irritated by the size or font style of Netflix’s subtitles. Well, my hand is up, but if you haven’t been yet, there’s a chance you might be in the future. It’s handy to know that you can change those settings as often as you want from within your Netflix settings. Simply click into your account, then scroll to the bottom of the list of settings. Select “Subtitle Appearance,” and be amazed by how much you can customize them! Don’t get stuck squinting at your screen ever again. 360p. 720p. 1080p. 4k. The list of increasing streaming resolutions is getting a bit mind-boggling, but what stands to boggle the mind even more is how these settings can affect your viewing experience. Even if you have a blazing fast mobile connection, however, the GB of data used to stream HD or Ultra HD are going to chew through your data allowance uncomfortably quick. Additionally, if your home internet connection is being particularly sluggish, try reducing the playback settings to accommodate it. There are a few justified reasons for geo-blocking, but they have never mattered that much to Netflix users who just want to be able to view the same content as Netflix users in other countries. US availability in particular is often desired by viewers in other countries, and through clever DNS routing, Getflix can get you past the usual IP address blockade and give you access to Netflix (and more!). The only catch? It’s going to cost you if you want to keep using it. In my opinion, the added entertainment value you’ll get for such a small investment is totally worth it. Long distance relationships are difficult. Whether we’re talking friendship or romance, sometimes it’s nice to spend a few hours watching something good with a person who means a lot to you, but buffering times and stream availability can make this difficult, resulting in out-of-sync viewing experiences and more frustration than fun. Though a few online web portals and apps purport being able to fix this, the best of them is Rabbit. Get signed up, then start enjoying shared viewing experiences again. It even has pretty stellar chat support, so you and your dearest can yak it up while the movie is playing. Most assume that the ability to create multiple profiles for your Netflix account is only useful when multiple members of a household are using it, but this isn’t true! There’s one other handy organization tip that I can give you, and it revolves completely around the way that Netflix profiles work. Some may not realize it, but the viewing recommendations that Netflix gives you are based on what you’ve viewed on a particular account. This works great for separate people using separate accounts, but you can also use it to shape the recommendations that you want to see based on other circumstances. Lets say, you want certain movies to show up as options for “date night.” Make an account for it! Your viewing experience on your “date night” profile will lead to you finding more films and television shows that are applicable to that occasion. What about those times when you want to sit down for a couple of hours and watch a documentary? Make a “Documentaries” profile, during which you only watch informative, interesting content. Your recommendations are going to follow suit. You’re cuddled up on the sofa (alone or with company; it’s the sofa that’s important, right? ), and you want to know what’s new, what’s good, and what’s available to watch. Where do you turn? You could do a quick search for “Best Movies On Netflix” and hope you snag a new favorite movie to watch. Netflix’s “star rating” system is notoriously unreliable, and thankfully, crafty Netflixers have stepped up to provide a service that will help you out. Though many like it are available, I’ve taken the time to create a Best Movies On Netflix (What is On Netflix?) for you to look. With it, you can see what’s recently been added to the streaming service, and also use common directories and other resources to determine whether or not a particular film or television show is any good, in the first place. I already mentioned how widely unreliable Netflix’s rating system can be for finding the content that you want to watch, but thankfully, there’s a way around that particular problem. As long as you’re browsing from a web browser, you can use extensions like NEnhancer to add a great deal more information to each listing in your Netflix queue. Imagine being able to see IMDB information, trailers, Rotten Tomatoes reviews, and more without ever having to leave Netflix. Though the Netflix algorithms are good at some things, it can be decidedly difficult to figure out what exactly you’re in the mood to watch. Take out a little bit of the guesswork, reclaim some of that lost browsing time, and give NEnhancer a try. One thing that long-time Netflixers know by now is the fact that what’s available is always changing. Movies and TV shows that have been around for a while hit the road, while new items are brought in. One thing that Netflix doesn’t do a particularly good job of letting you know when all of these changes are taking place, which makes it hard to know when you’re running out of time to watch something. Inversely, it’s nice to know when you have upcoming content to look forward to. There are quite a few online resources that will keep track for you. Whats-On-Netflix keeps up-to-date listings of what will soon be leaving the popular streaming service as well as what’s on the way. This one might only apply to users that want a little bit more privacy than Netflix affords by default, but it’s absolutely possible to wipe your viewing history from your account. Whether you want to clear it all out or just remove certain items, it’s a simple process. Pop back into your Netflix account settings, and once again, scroll down to the bottom where you can select “Viewing History.” From this menu, you’ll see a listing of every movie or television episode that you’ve recently watched on your Netflix account. In addition to being able to report any problems you might have had while streaming, you can click the “X” off to the right to delete any entry that you’d like. Use this to keep your viewing history a little more clean, a little more concise, and a little more private. Netflix is here to stay. We can make that claim with a fair amount of confidence, now that the service has weathered several competitors moving in on its offerings while still remaining on top. Considering the surprising amount of hype that now surrounds and follows a majority of Netflix’s original programming, it’s hard to see any of this popularity taking a nosedive anytime soon. That doesn’t mean the Netflix experience can’t stand to be enhanced, though. 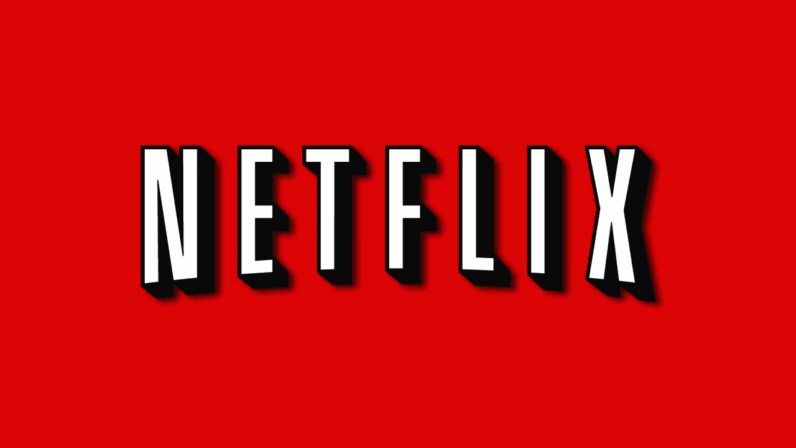 The above 10 tips are enough to get you started on the way to Netflix mastery.